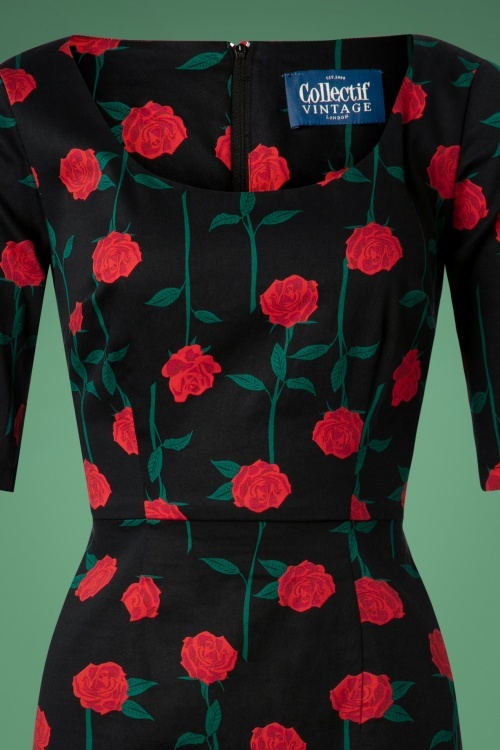 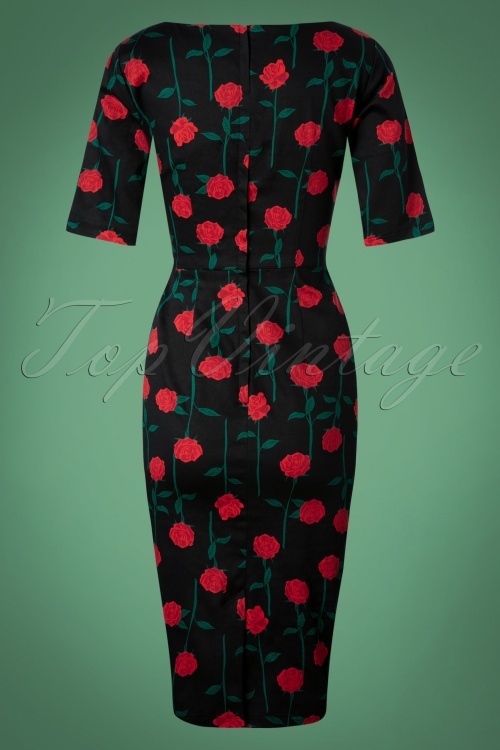 A great pencil dress never goes out of style and this 50s Amber Rose Stem Pencil Dress in Black is that type of dress! 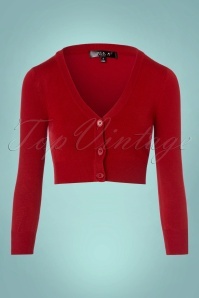 She features an elegant round neckline and playful 1/2 sleeves. 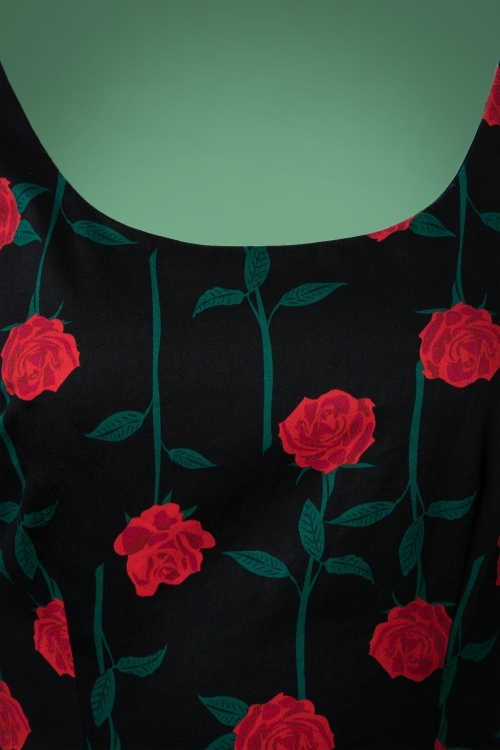 This figure hugging pencil dress creates a gorgeous hourglass figure, oh la la ;-) Made of a firm yet supple, black cotton blend with a light stretch and a romantic rose pattern. 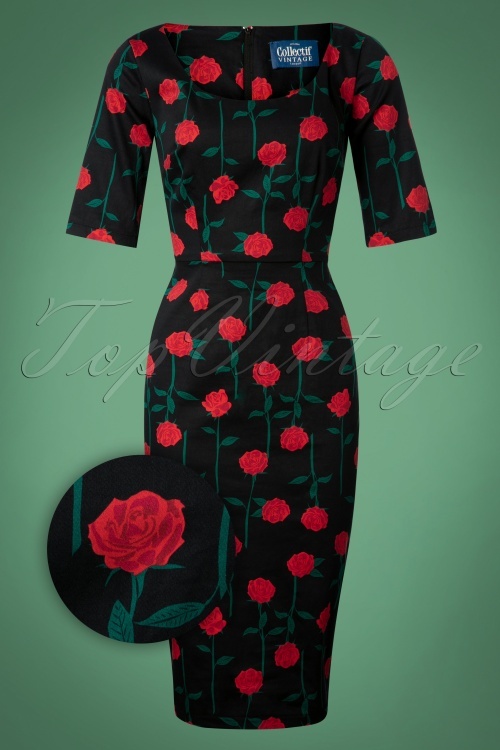 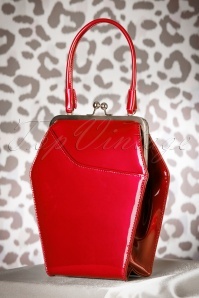 We can't resist roses and we definitely can't resist this beauty!